Sign up to Dry July Australia 2018 and raise funds for The Canberra Hospital. - Floral arrangements at reception desks, this continues funding for an item that all who visit the centre notice and admire. 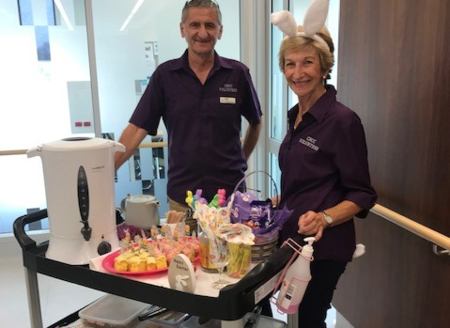 The Canberra Hospital has a strong link to community-based services that provide continuity of care for patients, supporting patients from Canberra and the surrounding regions. The new Capital Region Cancer Centre offers integrated services, including chemotherapy, radiation therapy, haematology, immunology, and research and teaching programs within a single five-storey building on the Canberra Hospital campus. The new five-storey centre is a patient-centred environment built around the recently expanded and refurbished Radiation Oncology facility at Canberra Hospital. It also offers a support and information centre for patients and their families. The Canberra Hospital Foundation has been a proud beneficiary of Dry July campaign since 2009 and is committed to ensuring the Canberra community come on board to not only support Dry July, but in turn the Capital Region Cancer Services. Our adult patients living with cancer have gained so much from previous campaign funding, thank you! 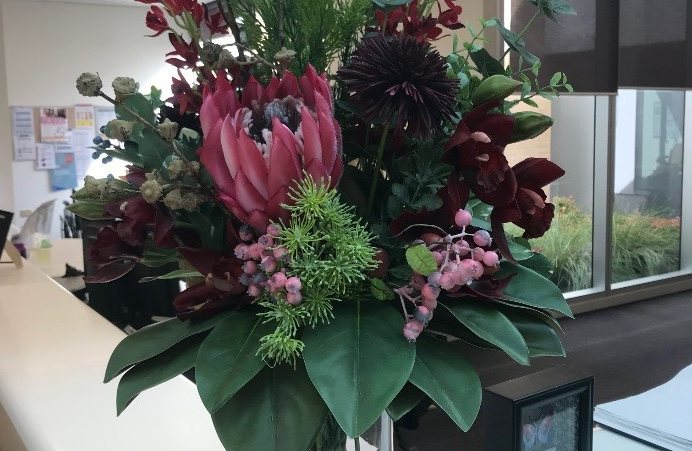 On a daily basis the front line reception staff continue to respond to patients and their carers commenting and enquiring around the floral arrangements that are a constant source of admiration on each of the reception desks, and people are always surprised to find out they are not real. 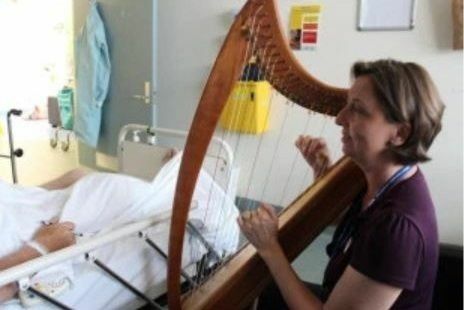 It is in that pure appreciation of something beautiful that tends to bring out the best in everyone and opens up conversation not at all related to the reason why patients and their families are here. So thanks to DRY July small distractions like this make for small positives in what can be difficult days for families. “It is so nice to be able to be offered some alternative teas when you are feeling unwell. I always make use of the herbal varieties available”. “The friendly service provided by the tea/coffee volunteers is most appreciative by both myself and husband. It provides a homely and supportive atmosphere whilst undergoing treatment at the CRCC”. “I so look forward to getting my cup of tea from the friendly ladies and gents during my cancer treatment at CRCC”. We're proud to announce that Canberra Hospital has received a grant from the Dry July Foundation. •	Refurbishment of patient waiting areas to create a pleasant, non-clinical environment to conduct chemotherapy/stem cell collection and transplant education sessions for new patients. Thanks to 2017 funding, Canberra Hospital has been able to provide comfortable seating for patients who need to get out of bed and seated upright as part of their recovery process. The recliners had to be specially modified for the cancer centre.